Here's how I styled the dress - I opted for some equally price friendly accessories to show you how you can get a lovely classy look without hurting your back account! 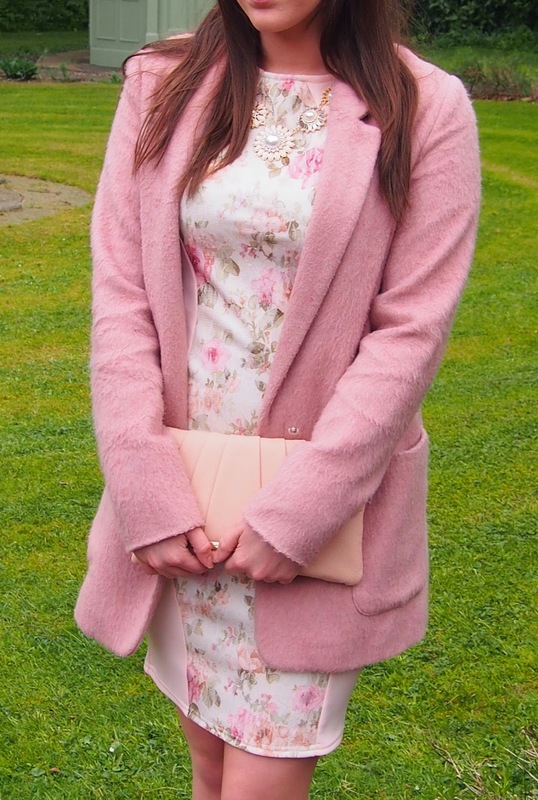 I also added a pink coat to the look - I didn't have to buy it as it was already in my wardrobe from when I jumped on the pink coat band wagon (and so glad I did!) but it was still relatively cheap at only £54 from Newlook - which you can find here ! Hope you enjoyed reading - let me know if you can think of any cheaper alternatives to my accessories / coat. I really enjoyed doing this "style for less" post so have decided to keep this as a regular feature on my blog! Have a lovely week, I'll be back again at the weekend! very very cute! the dress looks gorgeous on you!